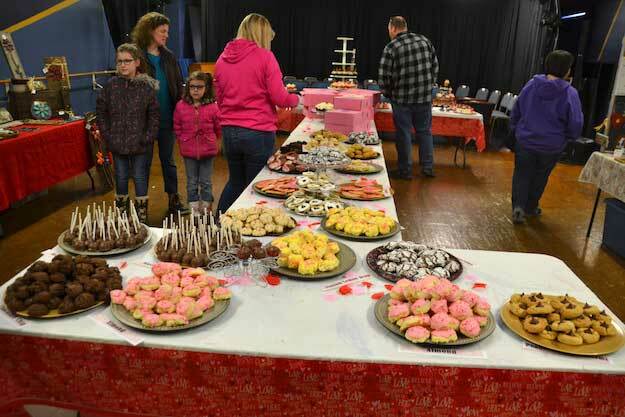 ALBION – Gotta Dance by Miss Amy on Saturday hosted a cookie and dessert stroll, and nine “pop up shop” vendors, all selling Valentine’s Day-themed items. Proceeds from the event will go to Pat Levandowski, an Albion elementary teacher recently diagnosed with breast cancer. 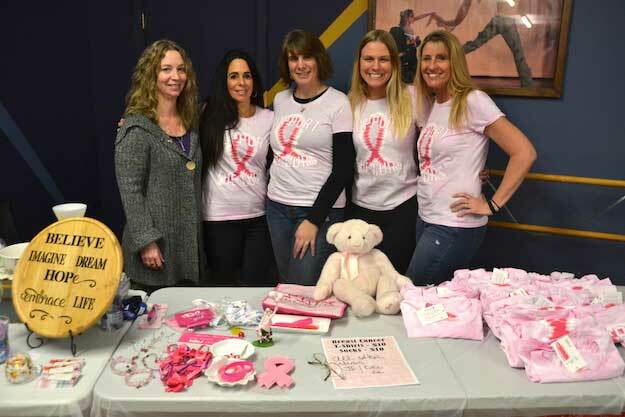 This group is pictured at a table with merchandise to raise awareness about breast cancer. They are from left: Tina Page, Amy Zaccaglino, Stephanie Rustay, Katie Rustay and Amy Luft. Amy Luft puts some of the desserts in a box for Andrea Neal and her daughters, Kasey and Adelynn. 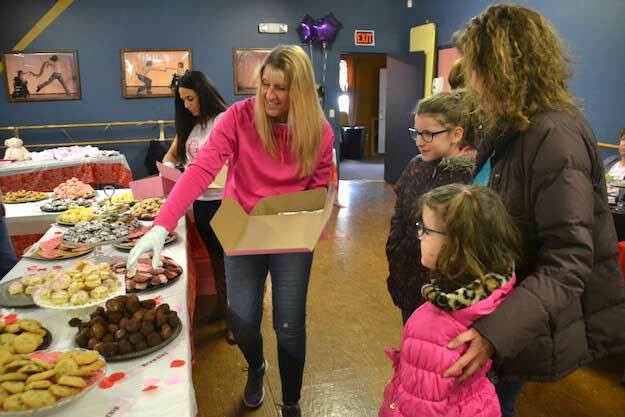 Amy Luft and her friend Amy Zaccaglino baked and decorated 1,800 cookies, 500 cupcakes and 30 cakes, with the proceeds going to Levandowski. 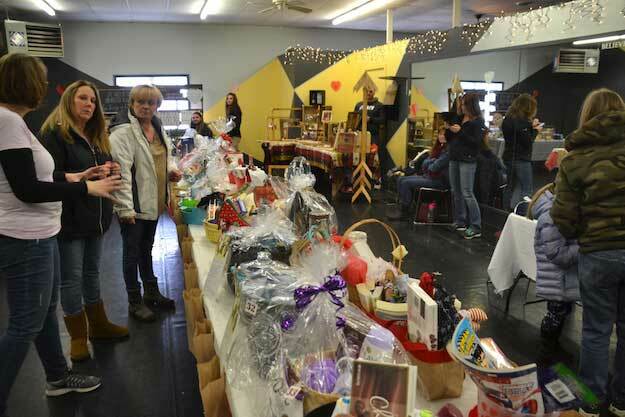 There was also many baskets to be raffled off in one of the dance studio rooms. 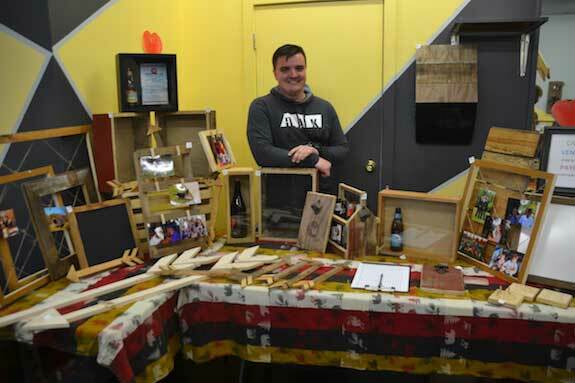 Cole Schmitt was one of the nine pop up vendors. He makes frames, shadow boxes and other items out of repurposed wood.